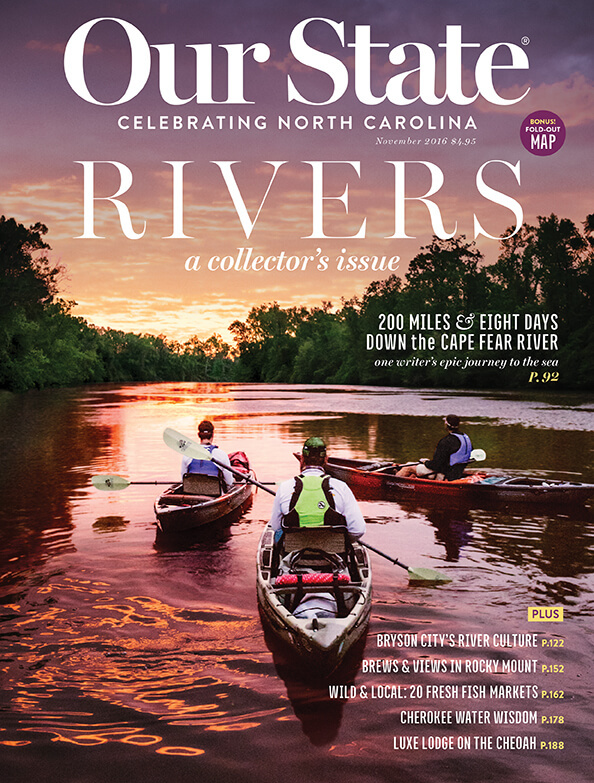 Jan Davidson, Historian at the Cape Fear Museum of History and Science, spoke at the January 16, 2017 meeting of the Federal Point Historic Preservation Society. 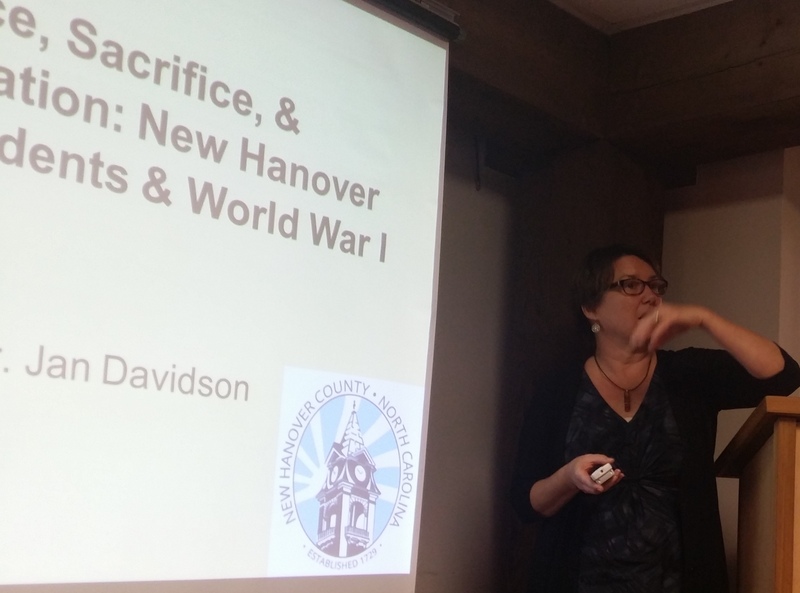 Jan spoke on Service, Sacrifice, and Memorialization: New Hanover County Residents and World War I. 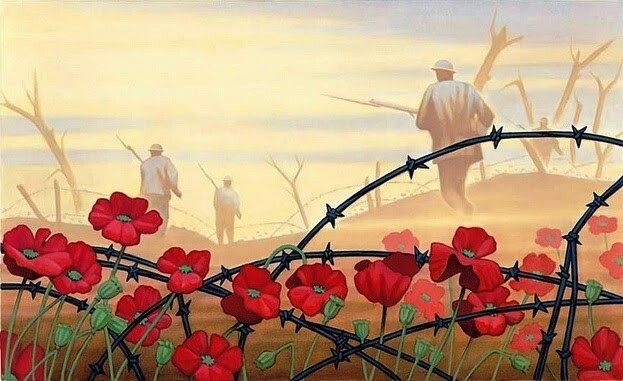 The United States entered World War I in 1917. 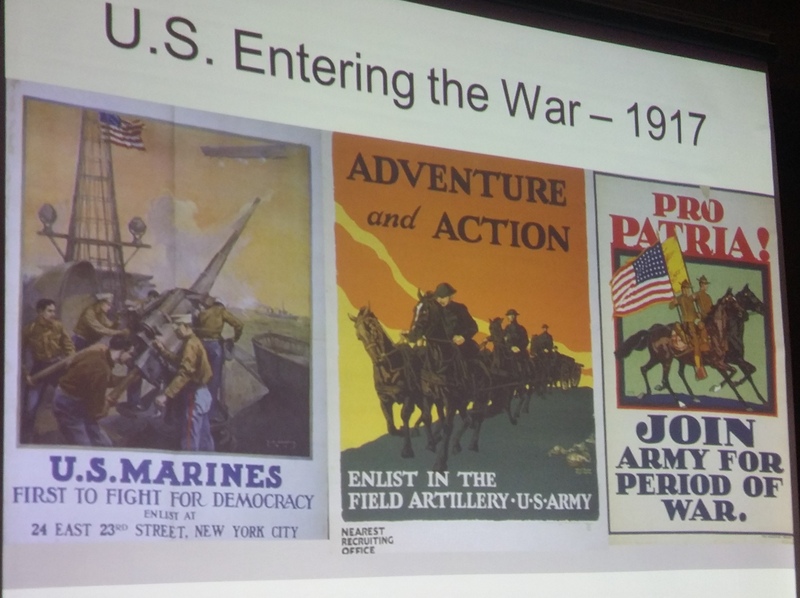 The war was sold effectively to citizens as a fight for democracy, and colorful propaganda posters promised “Adventure and Action” while serving the country. 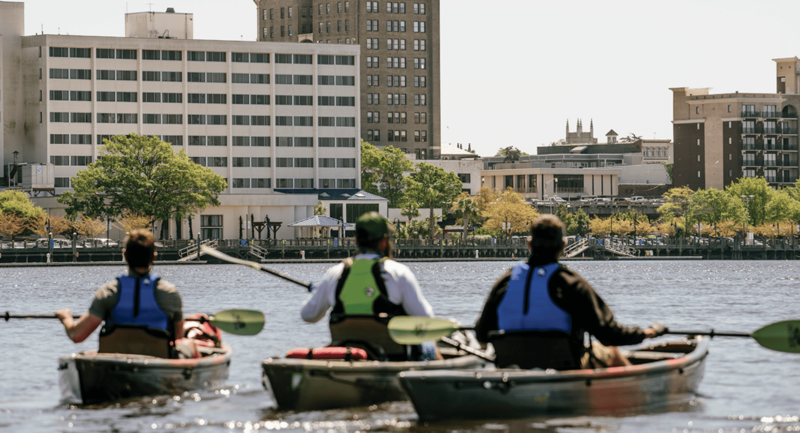 Wilmington became the biggest source of draftees in the region, with the majority of its draftees African American. 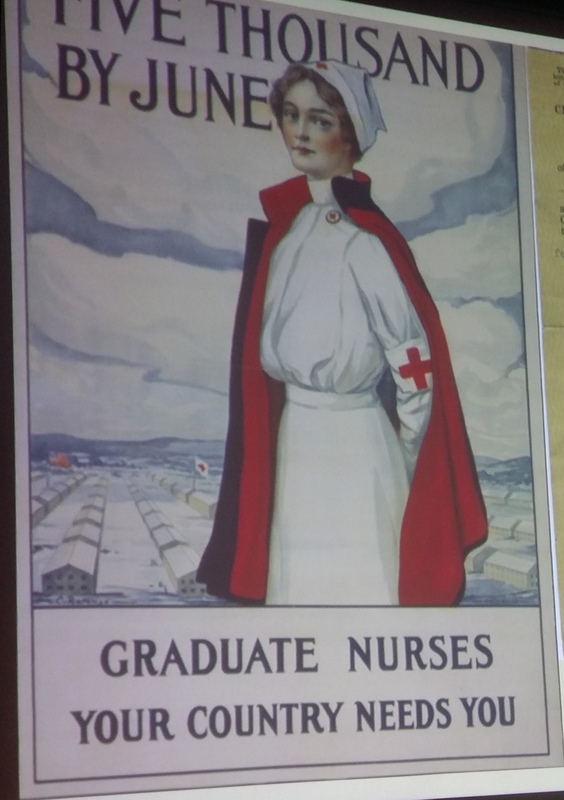 Women were called to serve as nurses. It was a terrible war, known for its “indescribable desolation” and killing its soldiers both in action and through disease, all the while setting the stage for World War II. Wilmington’s World War I Memorial was first erected in 1922 to honor New Hanover County’s war dead. The monument was moved, restored, and rededicated along the downtown Riverwalk in 2014. Dulce et Decorum Est is also the name of the best known poem from the first World War, written by British soldier Wilfred Owen. Owen was killed in action in France one week before the Armistice. 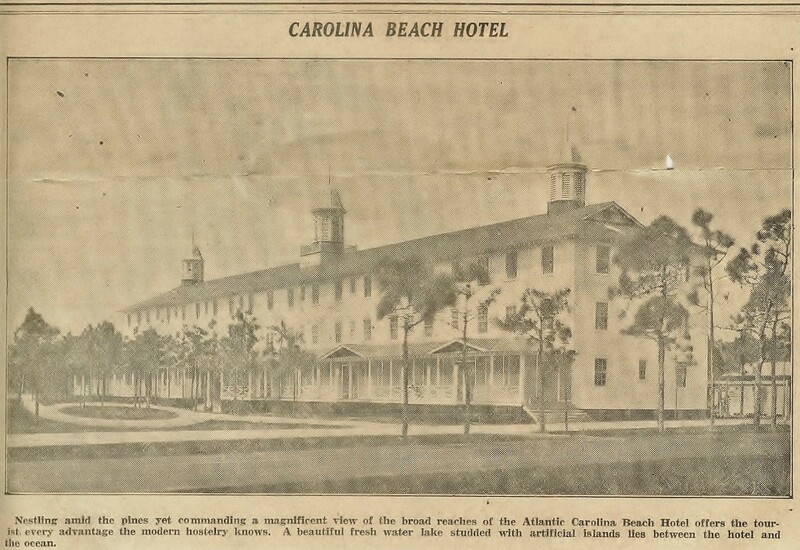 On May 26, 1927, just before opening for the summer season, the Carolina Beach Hotel with all its furnishings plus the adjacent 755 lots were sold to John R. Baker of Winston-Salem, North Carolina. 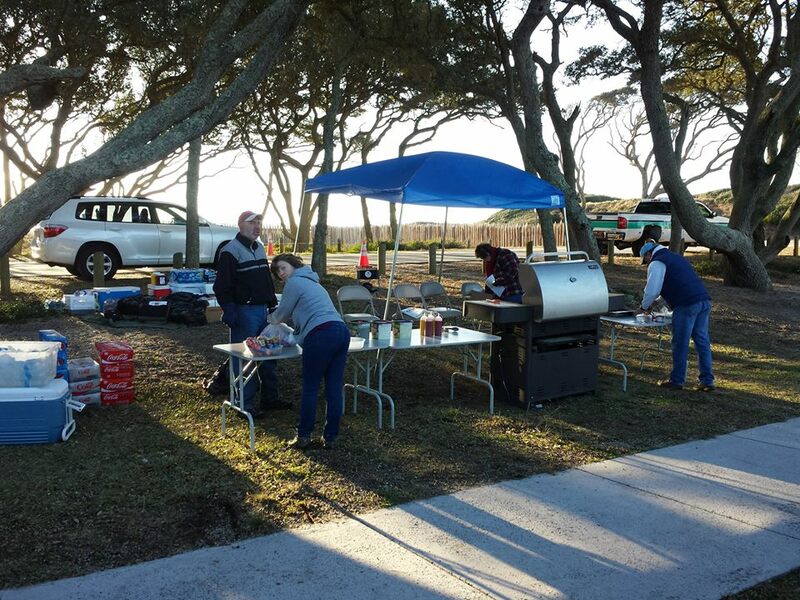 The sale represented most of the holdings of the Carolina Beach Corporation who had built the hotel and owned the lots. The sale resulted in a change of management and may have been the reason the formal opening was delayed until June 18th. Surprisingly, on July 25, 1927, John R. Baker sold the hotel and lots to Sam Jackson of Mecklenburg County who sold it again to Highway Park West, Inc. of Greensboro, North Carolina. 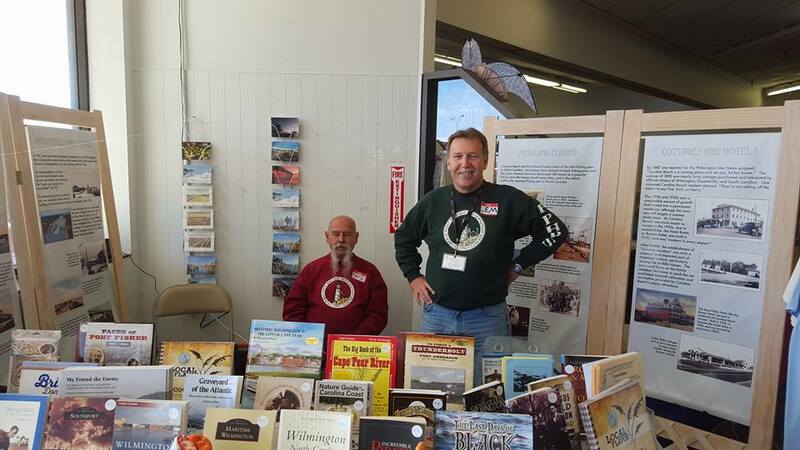 Three sales in two months may have been an indication that the “Roaring Twenties” economy was riding high in a bubble that was to break with the October, 1929 stock market crash resulting in the Great Depression. Economics aside, the new owners from Greensboro announced on July 28th that they planned to operate the hotel year round and were making plans to do so. 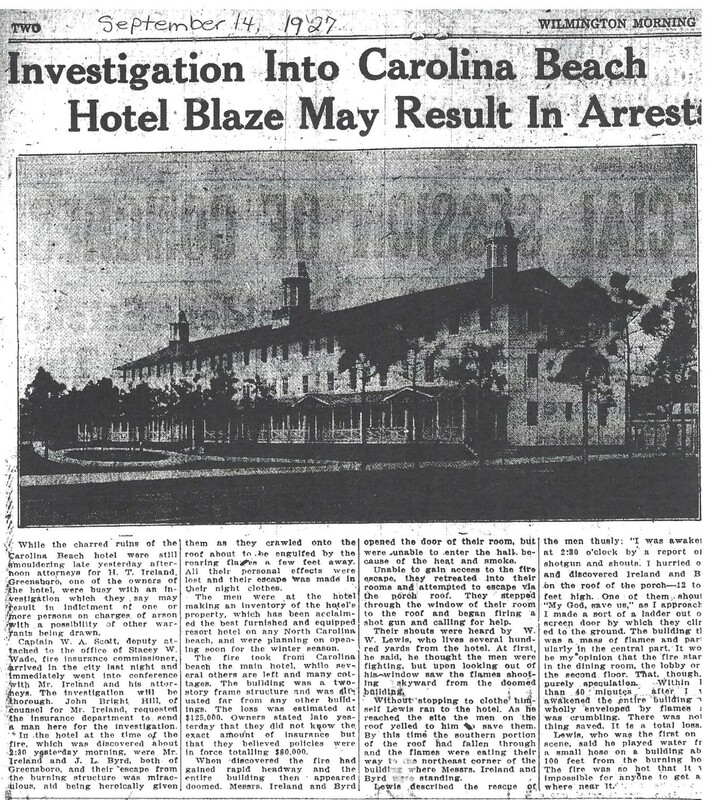 Less than 6 weeks later, on September 13, 1927, the Carolina Beach Hotel lay in smoldering ruins, the result of a fire that burned it to the ground. Miraculously rescued from the burning hotel were two of the owners, H.T. Ireland and J.L. Byrd, both of Greensboro. The rescue was assisted by a nearby resident, W.W. Lewis, who was awakened about 2:30 in the morning by gun shots and cries for help. Mr. Lewis said Ireland and Byrd were in their night clothes, had on no shoes and jumped from the 14 foot high porch roof. The pair were the only ones in the hotel. Earlier they had been taking inventory of the property with plans of reopening the hotel for the first winter season. The next day attorneys for Ireland began an investigation of possible arson. Also on the scene investigating were Stacy W. Wade, North Carolina Fire Insurance Commissioner, and his deputy Captain W.A. 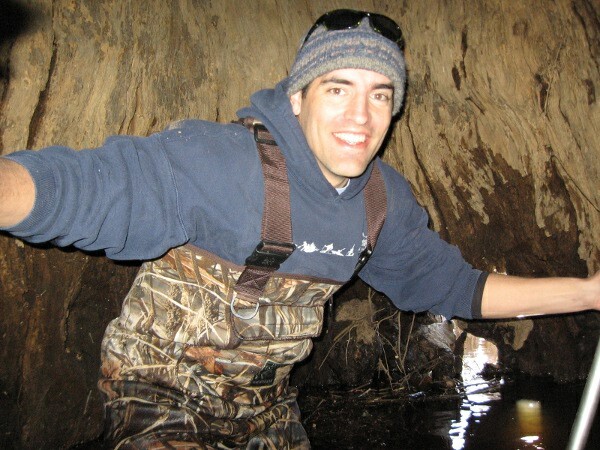 Scott. On November 18, 1927, H.T. Ireland and J.L. Byrd were arrested in Greensboro after a New Hanover County Grand Jury returned true bills of indictments against them for house burning in connection with the fire at the Carolina Beach Hotel. They each posted a bond of $5,000 and were to appear in Superior Court, New Hanover County in January, 1928. Captain W.A. Scott of the NC Fire Insurance Commission and an inspector from the National Board of Fire Underwriters had conducted a thorough investigation of the fire resulting in the grand jury’s action and the men’s subsequent arrests. But the world was too small for this to be more than a pious hope. At least four major influences were at work eventually to break down neutrality: (1) the heterogeneous character of the American population, (2) the increasing economic interest of the United States in the war, (3) the superior propaganda facilities of the allied Powers, and (4) the violations of neutral rights by the belligerents. Of particular interest to politicians, propagandists, and national leaders was the reaction of the foreign-born population to the war. While the older stock had emanated largely from the British Isles, at least 9,000,000 of the American population had been born in Germany or had one parent born there. About one third of our population was foreign-born or of foreign-born parentage. Of greater significance was the increasing economic stake of this country in the Allied cause. The most pronounced early effect of the war upon America was a tremendous economic stimulation. This is of particular importance because the nation, in the spring and summer of 1913, appeared to be sinking into the downward swing of an economic cycle, a trend that was quickly reversed by the European war. Just as during the Napoleonic wars a hundred years earlier, Europe was too busily engaged in destruction to provide sufficient raw materials, and the United States became a source of all types of commodities, particularly foodstuffs and munitions. The value of wheat exports, for example, rose from $39,000,000 in 1913, to $300,000,000 in 1917, and the value of munition exports from $5,000,000 to $803,000,000. Production of cotton, foodstuffs, and minerals jumped forward, while the value of the exports of domestic merchandise almost tripled. The excess value of exports over imports for the year ending June 30, 1914, was $435,800,000; for that ending in 1917, $3,567,800,000. All this meant a sudden and widespread prosperity. The United States profited enormously during the early years of the war, and her profits came almost entirely from the Allied Powers. As Great Britain tightened the blockade around Germany and extended the contraband list, it became increasingly difficult to export to the Central Powers. While American exports gravitated inevitably to Britain and her allies, these exports, owing to the diminutive size of the American merchant marine and the fact that Germany’s great merchant marine had been driven from the seas, were more than ever dependent upon British ships. In another important way American economic life was changed by the World War and her interests tied more closely with those of the Triple Entente. To finance the large-scale purchases, Europe shipped during the war close to a billion dollars in gold to the United States, and private citizens in Europe disposed of American securities to the value of two billion dollars. When the war broke out, foreign investments in the United States were estimated at over $5,000,000,000, while American investments abroad amounted to at least $2,500,000,000, leaving the country a debtor to Europe by over 2,500,000,000. Although Secretary of State, Bryan, held to the view that “money is the worst of all contrabands” and that loans to belligerent powers were “inconsistent with the spirit of neutrality,” the administration very early conveyed the impression that it would not oppose short-term credits that American bankers might extend to the belligerents, and a year later (August, 1915) that it would not oppose loans floated here. The charge has often been made that this attitude was influenced by the desire to maintain economic prosperity in the United States, but the position of the administration was perfectly legal and in line with every precedent of international law. Any other position at the time was hardly to be expected. Beginning with the Anglo-French loan in October, 1915, private loans to the Entente Powers were floated here to the extent of some $1,500,000,000. After we entered the war, the United States government extended credits to European governments amounting to over $10,500,000,000. From a debtor nation, the United States almost overnight emerged as the great creditor nation of the world. It is of more than passing significance that while the Allies floated here $1,500,000,000 in loans, Germany borrowed but $35,000,000, of which only $27,000,000 was outstanding when we entered the war.